Introducing the New PRLeap, featuring a new social media release template that provides a richer storytelling experience. 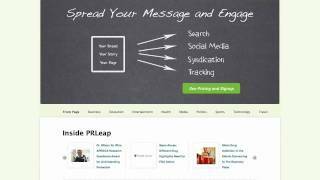 (PRLEAP.COM) April 21, 2011 - We just unveiled our most significant update to PRLeap, featuring a new Social Media Release (SMR) template that provides a richer storytelling experience. In addition, the PRLeap Social Media Release features a media gallery, easier social sharing and PRLeap Messages in a single column design. "The PRLeap Social Media Release sets a new standard for storytelling through press releases," said Merrick Lozano, PRLeap's Co-Founder. "By streamlining our design we've made it easier for readers to engage with your brand and your story." The new PRLeap is really defined by its design. By reducing our template to a single column design, we were able to make it more attractive and engaging for your brand and story. And the new PRLeap Social Media Release template is iPhone® and iPad-ready. With the new PRLeap SMR template we wanted to be able to display multimedia within your story without compromising our single column design. We created a media gallery that makes it easy to browse your pictures and YouTube videos. 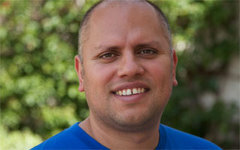 And we placed it inline with your content where it's more engaging. PRLeap Messages allows people to contact you right from your social media release without having to go to their mail client, keeping them engaged longer with your story. We keep of track how many conversations originated from your PRLeap Social Media Release and include these stats with your free Visibility Report. We made Social Sharing easier by placing the Facebook "Like" and Tweet buttons inline with your story where they are more likely to be engaged. We keep track of how many people "Like" and "Tweet" your story and include these stats with your free Visibility Report. To learn more, take a tour through PRLeap. We believe every brand has a story. People love sharing a good story. We help you spread your message across search and social. 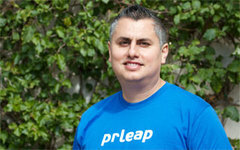 PRLeap is the Online PR platform by Condesa. PRLeap was launched in June of 2003. PRLeap is a trademark of Condesa, Inc. All other company and product names may be trademarks of the companies with which they are associated.